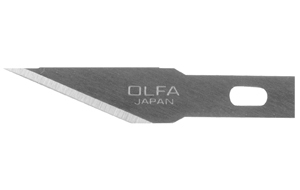 OLFA Blades KB4-S/5 Model 9167 are precision replacement blades (#11) for the Precision Art Knife (AK-4). Ideal for use in a multitude of applications were accurate cuts are required. 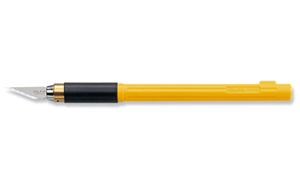 Ideal for use in arts, graphics, crafts, and hobby for both consumer and industrial applications. 5 blades per pack. OLFA Art Knife Precision AK-4 Model 9164 Is Designed For Precision Cutting And Features A Quick Spin Blade Change. CLICK ON IMAGE AND SCROLL DOWN TO RELATED PRODUCTS FOR A LIST OF REPLACEMENT BLADES.